Who Looks Best in White Pumps: Cameron Diaz or Leslie Mann? Cameron Diaz and Leslie Mann were on hand at Twentieth Century Fox’s special presentation promoting its upcoming film release schedule during the 2014 CinemaCon held at the Colosseum at Caesars Palace in Las Vegas on March 27. The pair, who was there to promote their film ‘The Other Woman’, showed two different spring looks but chose similar white pumps to finish their ensembles. 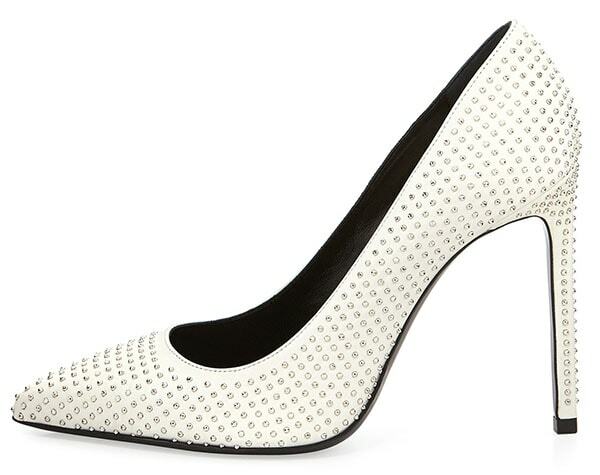 White heels are indeed a must-have this season! Check them out below, and let us know who you think looked best wearing white pumps! Cameron Diaz went a little sporty in a gray Victoria Bechkam mini dress (available at Net-A-Porter). It’s made of silk and wool-blend crepe materials and features an asymmetrical hem with a partially exposed white woven pleated skirt. She also wore a cherry red lip shade and finished her look with white Saint Laurent pumps that matched her dress. 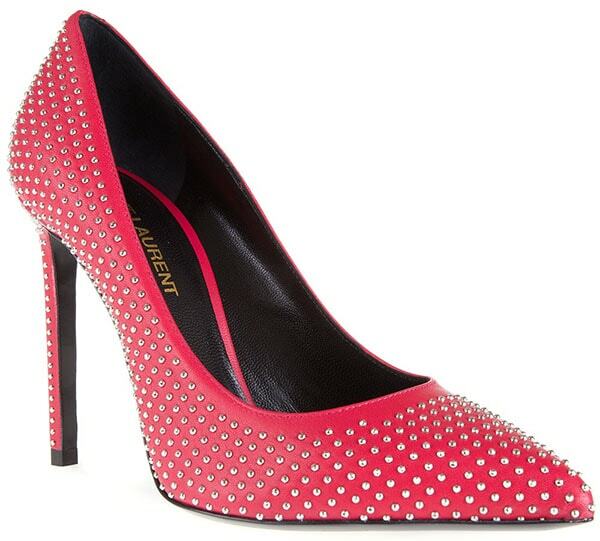 Cameron’s Saint Laurent “Paris” pumps are from the brand’s Spring 2014 collection. 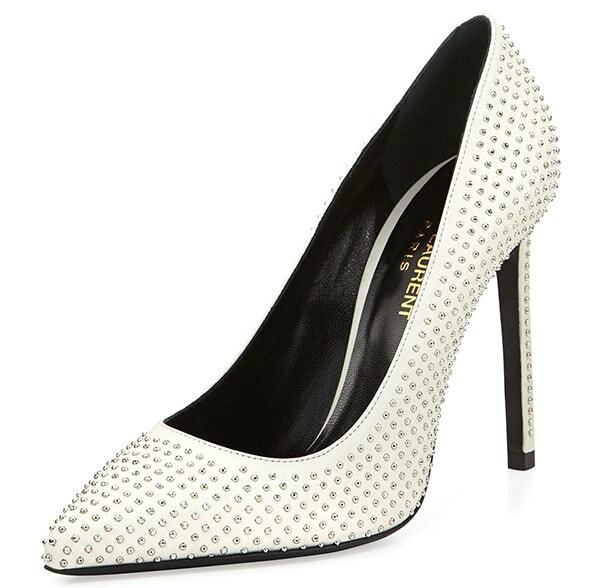 They are made of white leather and have silver-tone micro-studs scattered all over. 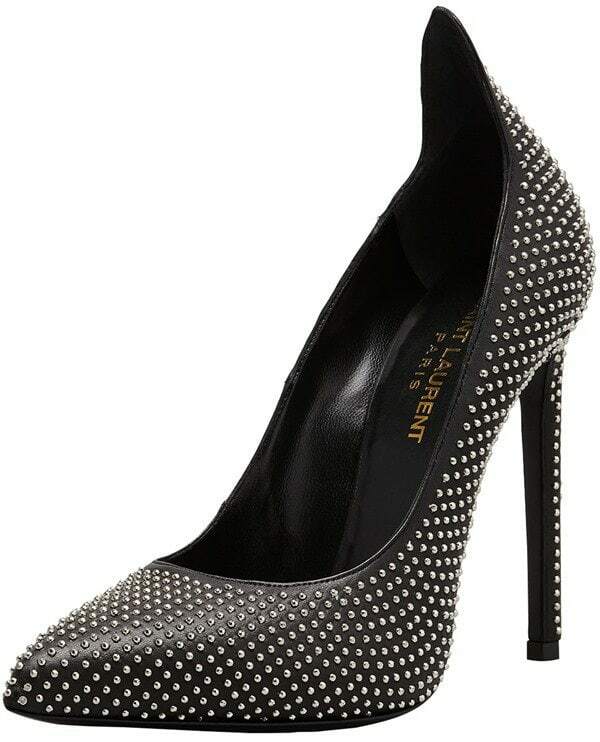 Their finishing details are the low-cut vamps, pointed toes, and 4 inch heels. Leslie Mann, on the other hand, brought sunshine onto the red carpet in a yellow-and-white Oscar de la Renta maxi dress. It features a ruched waistline, a pleated detail, and twisted shoulder straps. To complement her dress, she wore a pair of white pointed-toe pumps by Bionda Castana. 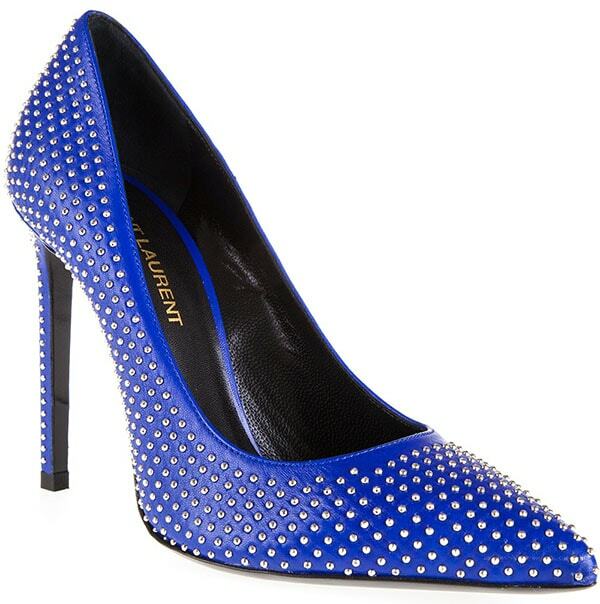 Leslie’s Bionda Castana “Rosario” pumps are hard to miss. 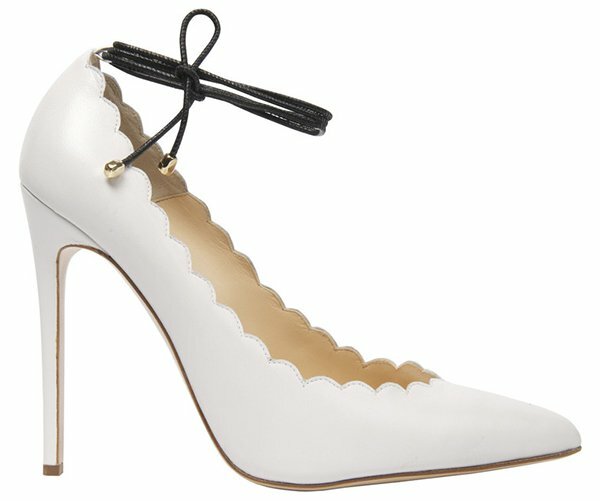 They are truly striking, made of white leather with scalloped edges and contrast ankle-tie straps with gold metal tips. Completing these pumps are heels measuring about 4.7 inches.